Unbeknownst to many people, severe headaches can be directly related to TMJ. This condition can be effectively treated by Dr. Marlin with TMJ dentistry, minimizing your pain and discomfort, and here Dr. Marlin provides you with an overview. Waiting For That Rejuvenated Smile! How Long Should a Dental Crown Last? What Do I Do When Told to Have a Tooth Extracted? Why Do Some Anterior Implant Restorations Look More Natural? Oh No, I Broke My Two Front Teeth-What Now? What are Bar Attachment Denture Dental Implants? Can I Expect to Have a Lot of Pain with Implant Surgery? Important to Consider: Second Options for Dental Implants & Alternatives to Clear Choice®. Can Dental Implants be Placed in One Appointment? Dental Implants In 3 Minutes? Disclaimer: Official website of Prosthetic Dentistry of Washington DC. The information throughout this dentistry website is not intended to be taken as medical advice. 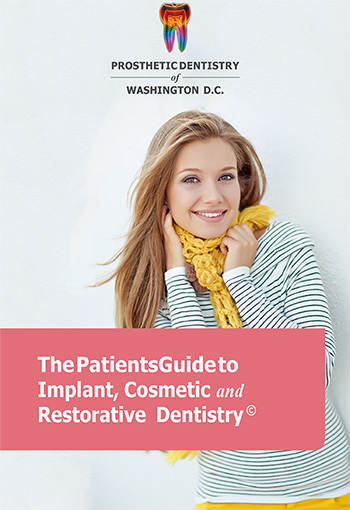 The information provided by Prosthetic Dentistry of Washington DC is intended to provide general information regarding cosmetic dentistry and dental implants for residents of Washington DC and nearby areas of Maryland and Virginia. This website is not intended for viewing or usage by European Union citizens. Read our ADA compliance disclosure. Copyright © Prosthetic Dentistry of Washington D.C.. Website Designed, Developed, and Optimized by Page 1 Solutions, LLC.